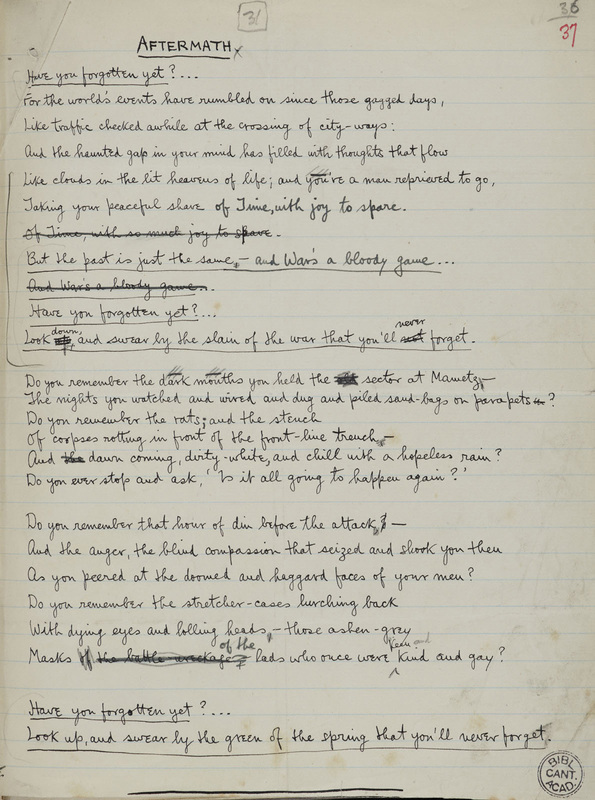 Manuscript in ink in Siegfried Sassoon's hand with corrections in ink and pencil. Published in 'Picture-Show' (1919). “Aftermath,” by Sassoon, Siegfried (1886-1967). 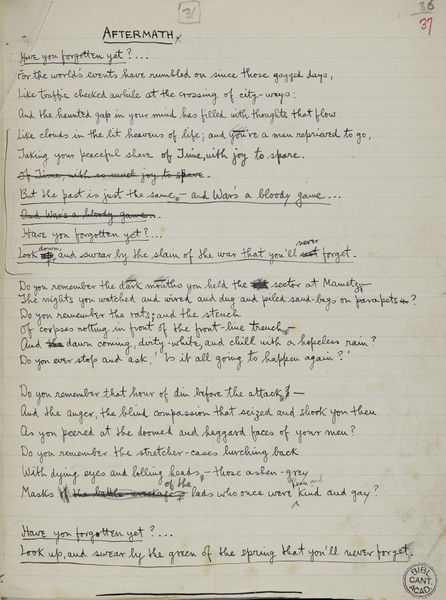 Cambridge University Library / The Siegfried Sassoon Literary Estate via First World War Poetry Digital Archive, accessed April 22, 2019, http://ww1lit.nsms.ox.ac.uk/ww1lit/collections/item/9653.